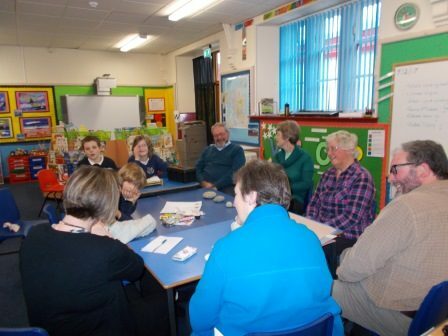 On Tuesday 7th February 2017 some of our local community neighbours from Minard village came along to school to share some memories from their childhood. Mrs Hay and her friends brought with them things which reminded them of their childhood and our pupils brought in some things from their earlier childhood. Over teas and biscuits we all shared our ‘memories’ using our memory objects to tell stories. Our neighbours brought old coins, school photos and toys from long ago. 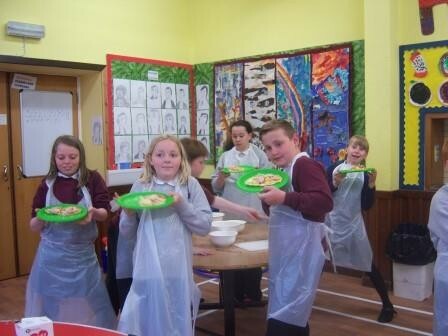 Primary 6/7 (Eng. lang. 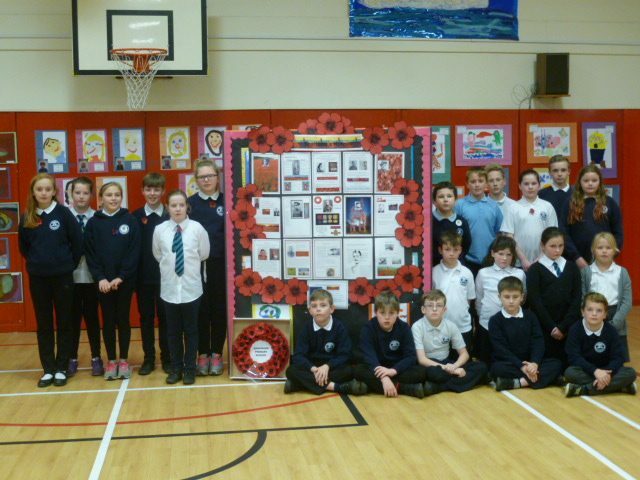 classes) show their Remembrance Day work to the school at Sandbank Primary’s Assembly. Their display highlighted the Scots who have won Victoria Crosses, and after being used in the service was put on display in both Kirn and Sandbank Parish Churches on Remembrance Sunday. Six of the school’s House Captains (on left) represented the school, along with the head teacher, at the parade and act of remembrance at the war memorial at Lorenzo Point on the Sunday, laying a wreath from the school.